Git is one of the vital technology used by many organizations nowadays. To achieve DevOps, people like to work with Git. These questions and answers about Git are quite common which the DevOps certified people get to see. Whenever they interview new people in their organization or talk about this topic, they get to hear such questions and have to answer them too. 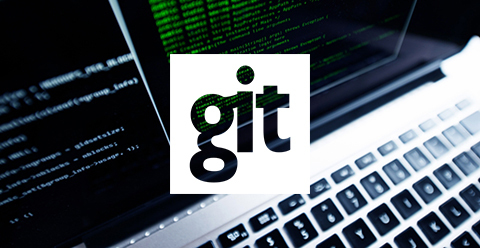 Here are some of the commonly asked questions and answers about Git. Git is a control system in a distributed version along with SCM (source code management) system. It helps in the efficiency and speed of the projects within the organizations whether they are large or small. 2. What is a repository in GIT? The repository means that the directory contains anything with ending at .git. All the information is kept under the .git format known as metadata. The entire content is private within the directory to Git. 3. What command is used to write the commit command message? "git commit – a " command is used to write the commit message. The " – a " instructs the git to create new content with keeping track of all files which are changed/modified. If you want to create a new file for the first time, you can use the command "git add ." 4. What is the main difference between SVN and GIT? Here are some of the main differences between SVN and GIT. - SVN can handle multiple projects at the same time with storing at the same repository whereas, GIT is not preferred for large files as it can keep on changing the binary files. - SVN allows the folder creation under any location within the layout of repository and GIT does not allow different “commits” under multiple tags or branches. - SVN makes a tag and treats like a branch which can have various revisions under the root; however, Gits cannot change once commenced. 5. What are some of the advantages of GIT? There are various advantages associated with using GIT. 6. What language is compatible with GIT? The fast-paced GIT requires “C” language to operate it successfully which helps in reducing time when dealing with higher languages. 7. What do you use GIT push for in GIT? “GIT PUSH” helps in updating the references of remote with the objects associated. 8. Why is GIT preferred over SVN (Subversion)? GIT is known to be an open source for the control system. You can run different versions of the project on it with seeing the codes changes did over time. It also tracks those changes when required. Various developers can work on it at the same time and make any changes with attributing it towards a single developer. 9. How do you define “Index” in GIT? The review process before completing the commits in GIT is known as “Index” or “Staging Area”.